Mercedes Pardo attended the Escuela de Artes Plásticas y Aplicadas de Caracas (1941-1944), and studied in Chile (1947) and Paris (1949). She married Alejandro Otero in 1951. While living In the French capital she began to produce abstract works which she first presented in 1952, in the exhibition Espace-Lumière (Galerie Suzanne Michel, Paris), organized by Carmelo Arden Quin. When she returned to Venezuela, she showed them at the Primera muestra de arte abstracto (Galería Cuatro Muros, Caracas). 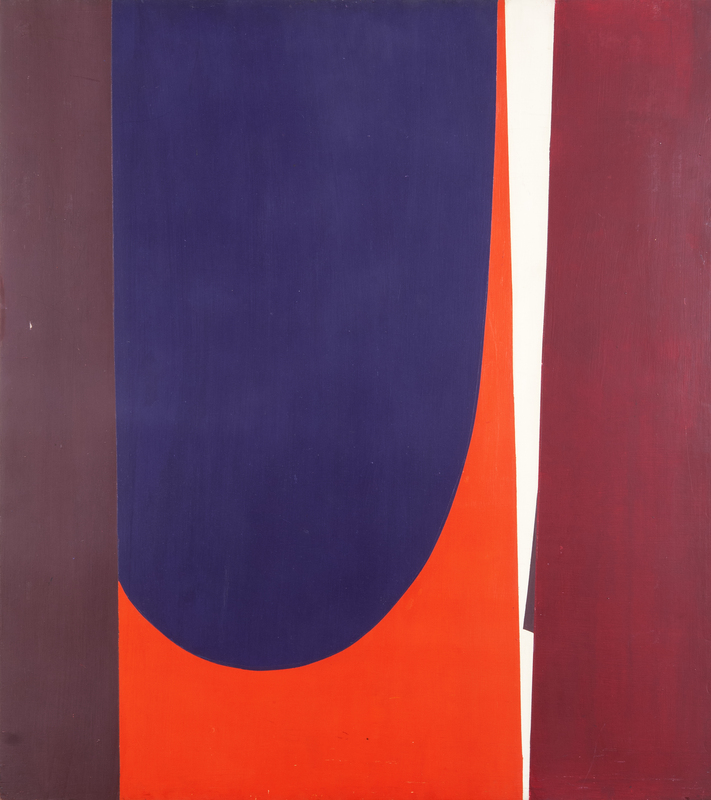 From geometric abstraction her work evolved towards the end of the fifties as she experimented with informalismo. Her new work was included in the show Espacios vivientes (Maracaibo, 1960), the collective exhibition that marked the arrival in Venezuela of informalismo. In 1960 Pardo moved to Paris where she began a decade of experimentating with various techniques and media. She worked with watercolor (1961-1962), monotype (1963), enamel on metal (1964) and collage (1964-1966), architectonic integration and serigraphy. In 1962 she presented her watercolor works at her first one-person show in Venezuela (Museo de Bellas Artes, Caracas). Her monotypes of the series Huellas (Tracks) and her book Signes (1963) involved matrices created by means of frottage of found objects. In 1962 she received the Premio Nacional de Artes Aplicadas along with Alejandro Otero. In Venezuela Pardo exhibited 1 x 9, color de la serigrafía (Museo de Bellas Artes, 1969), a series in which she showed her chromatic discoveries when printed on wood. In her work she proposed a modular ordering that, according to positioning, raised novel and changing relations between colors. In this investigation, the serigraph fulfilled the role of a laboratory for her paintings in acrylic that followed. These had their origin in the constructive-geometric structure as well as in the purity and the relationship of color borrowed from the serigraphs. Pardo exhibited these painting in Obras recientes (Sala Mendoza, 1970). She further explored different possibilities throughout the seventies and eighties. In 1978 she received the Premio Nacional de Artes Plásticas and she had a retrospective exhibition at the Museo de Arte Moderno de Mexico. In Venezuela, she exhibited the anthology Color, piel, presencia meditada (Galería de Arte Nacional, Caracas, 1979). At the end of the eighties, Pardo began a series of acrylics titled Suite cubista, in which geometry became more complex and symbols were placed between colored planes. The evolution of her painting continued in the 21st century with a return to the informalista brushstroke and the gestural outline. These works were included in the retrospective exhibitions Moradas del color (Galería de Arte Nacional, 1991) and Mercedes Pardo 1951-2000 (Museo Alejandro Otero, Caracas, 2004).